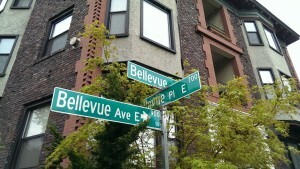 Bellevue Pl. E, Bellevue Ave. E and Bellevue Ct. E, in Seattle, WA. It only took me two times, after driving to the wrong side of town, to realize how important the prefix and suffix of an address are. It’s also very important to ensure addresses are uploaded correctly when dealing with a system of record. The nearly identical street name examples demonstrate how abbreviations can muddy the water when dealing with system of records. 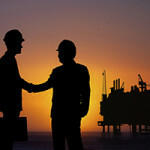 This can result in numerous duplicate records for the same person or company in a given system. For example, Avenue can be abbreviated as AV, AVE, AVEN, AVENU, AVN, AVNUE. Think of all the different ways can you write or type an address – and how many records that could add up to! So, how accurate are your vendor master records; and how much is your dirty data costing you? 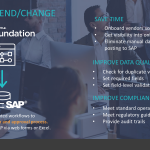 What if you could streamline your vendor master data management process? A Fortune 500 food-distribution company reported they were being charged a $150 flat fee for each delivery attempt mistake. These mistakes were costing the company over a $1,000,000 each year and the root problem was inaccurate master data with the delivery addresses. Winshuttle has just made it even easier to validate and standardize addresses, without the need for programming, with the release of Designer version 10.6. To learn more – visit the new External Address Verification Design Pattern. Our customers love being able to reduce, and in some cases eliminate, costly mistakes that can be introduced when an address is entered into a form. This External Address Verification helps ensure your system of record is always accurate, and increases your bottom line by eliminating research time and costly shipping mistakes! Please submit any questions to info@winshuttle.com.